Just a few years ago, a simple placard was often displayed on the walls of many public school rooms. It said, "Remember the Golden Rule: Do unto others as you would have them to do unto you." This simple code of behavior, when practiced, made our schools, and society, a far better place than they are today. The Golden Rule has been called the greatest principle of human relations and originated from the Bible with these words of Jesus: "Therefore, whatever you want men to do to you, do also to them, for this is the Law and the Prophets" (Matthew 7:12). According to Jesus, two great commands serve as the foundation of all the teaching of law and the prophets (Matt. 22:37-40). The first and greatest commandment is to "love the Lord your God with all your heart, mind, and soul." He stated that the second great command is to "love your neighbor as yourself," which is another reference to the Golden Rule. In other words, "love" is the act of doing unto others as we would want them to do unto us. The Golden Rule continues to be Jesus expected standard of behavior by His followers. It is not an option, but is considered a command of the Lord. Christians are taught to treat others in the way which they wish to be treated, themselves. "This is my commandment, That ye love one another, as I have loved you" (John 15:12). When God created mankind, He established the law of "reciprocity," which gave man the ability to reap in accordance to what he would sow. "Be not deceived; God is not mocked: for whatsoever a man soweth, that shall he also reap" (Galatians 6:7). This principle of sowing and reaping is both a natural and spiritual law. Its application is universal, whether were talking about agriculture, work ethics, our health, our relationship with God, our marriage, or our relationships with each other. The kind of seed sown will determine the kind of harvest yielded. In effect, mans end-product is determined by what he chooses to sow. He is the catalyst for what he receives out of life. When we consider relationships with people, we discover that they are especially affected by what we sow. Human beings tend to be impressionable, reactionary creatures. In other words, they generally reflect the treatment they receive from others. Our behavior toward people tends to be the catalyst -- the motivation for how they relate to us. Consequently, treating others with courtesy usually causes them to be courteous to us. Patience and kindness promotes patience and kindness, etc. Ask yourself how you wish to be treated? Would you like to be shown encouragement? Do you want your shortcomings to be treated with tolerance and forgiveness? Do you desire to be shown love and acceptance? Then treat others with the same attitude and consideration that you wish to be shown. The great effect that we have upon others by our behavior, is one of the most important reasons that God wants us to fellowship with other believers. The Bible says that one of our highest aims in meeting together as the church is to "provoke" or motivate each other toward love and good behavior. "And let us consider one another to provoke unto love and to good works" (Hebrews 10:24). And how can we motivate others to love and good works? By showing love and good works to them! People imitate how they are treated. What you sow into the lives of people is what you will reap. Youd be amazed at how many people feel lonely and lack friends simply because they dont apply the law of sowing and reaping. The ability to make friends has nothing to do with how attractive, smart or successful you are. Once again, our attitudes and actions toward others are the measure by which they usually relate to us. Sometimes persons may have a low self-esteem or may be preoccupied with problems which may cause them to seem distant or unfriendly to others. Ironically, these persons may often feel that others dont like them because they are somehow inferior or unacceptable in some way. However, this is not the case. People tend to react to whatever attitude is projected toward them, and the impression of coldness and unfriendiness is what causes others to keep their distance. Sociologists say that "friendliness and confidence" are the greatest factors in initiating friendships. The Bible teaches, if you want friends, you must first sow your friendliness into others, and they will respond with friendship. "A man that hath friends must show himself friendly..." (Proverbs 18:24). Be friendly, but dont over impose yourself upon people. Remember, what we sow is what we reap. If we sow rudeness and inconsiderate behavior, we will likewise reap the results. "Withdraw thy foot from thy neighbours house; lest he be weary of thee, and so hate thee" (Proverbs 25:17). It is obvious that human behavior can be influenced by the impressionable behavior of others. This is something to remember whenever we encounter conflict in our relationships. 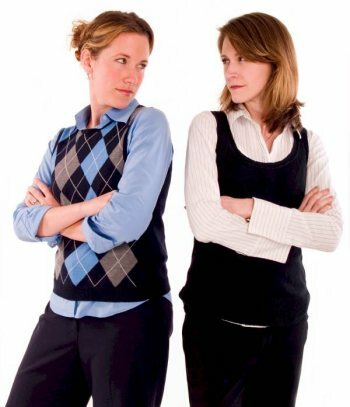 The attitudes and behavior you sow can diffuse conflict. When a person is at peace with God, his demeanor is content, joyful and peaceful, not contentious or angry. His nature lends toward peace rather than turmoil. Thus, the sower of a gentle, peaceful attitude tends to defuse hostility and anger. The Bible says, "When a mans ways please the LORD, he maketh even his enemies to be at peace with him" (Proverbs 16:7). Words are some of the most potent seeds that we can sow. If we sow gentle, peaceful words it will tend to disarm conflict, rather than to provoke trouble. "A soft answer turneth away wrath: but grievous words stir up anger" (Proverbs 15:1). If we are patient and persistent, our gentle expressions are far more likely to change hearts and opinions than anything else. Gentle, diplomatic words are as powerful and persuasive as harsh blows that break bones. "By long forbearing is a prince persuaded, and a soft tongue breaketh the bone" (Proverbs 25:15). The scripture says, "The words of a wise man's mouth are gracious, But the lips of a fool shall swallow him up" (Ecclesiastes 10:12). "Grace" means "unmerited favor," and gracious words are those filled with gestures of unearned kindness. The wise person, who wants to develop good relationships, looks for good and complementary things to sow into others. Everyone wants to be around those who are gracious with their speech. "Heaviness in the heart of man maketh it stoop: but a good word maketh it glad" (Proverbs 12:25). By now, you can see that the law of sowing and reaping can affect our human relations, dissolve conflict, and motivate the lives of our brethren. God has intended for His people, not to merely be a reflection of others behavior. He wants His followers to be the instigators and catalysts of good upon others. His presence within is intended to make a believer an "influence" on their environment, rather than being a "product" of their environment. Believers are to be the "salt," or the influence of good upon the earth. Salt is a preservative which prevents corruption (Matt. 5:13). Dear Christian, this is your mission on the earth, to sow the seeds of God, to be the role-model of godliness upon society. Your assignment is to be a good influence upon others wherever you go, showing them a Christ-like example, sowing words, attitudes and behavior that will motivate them to follow. As a Christian, God has imparted Himself in you to represent Him and to do His works. Thereby, let us faithfully continue to sow, both to the saint and the sinner, the Golden Rule and the example of our Lord Jesus Christ. "And let us not be weary in well doing: for in due season we shall reap, if we faint not" (Galatians 6:9). This article (VL-117) is copyrighted © by Dr. Dale A. Robbins, 1990-2019 and is a publication of Victorious Publications, Grass Valley, CA - Nashville, TN. Unless otherwise stated, all scripture references were taken from The New King James Bible, © Thomas Nelson Inc., 1982. You may download this article for personal use as long as you retain credit to the author. Obtain permission before reproducing copies for any reason, by filling out our simple use permission form. Many of our writings are also available as free pdf tri-fold pamphlets, which can be downloaded for reproduction from our Online Catalog. For media reproduction rights, or to obtain quantities of this title in other formats, email us. If you have appreciated these online materials, help us reach the world with the Gospel by considering a monthly or one-time tax-deductable donation.